Below you fill find all funeral homes and cemeteries in or near Chatfield. Suburbs of Chatfield: Cummingsville, Pilot Mound. Zip codes in the city: 55923. Schleicher Funeral Homes & Cremations Services with facilities located Plainvew, MN. Schleicher Funeral Homes has been serving families of all faiths in Southeastern Minnesota since 1892. Some of the notable people born here have been: (norman rodgers). 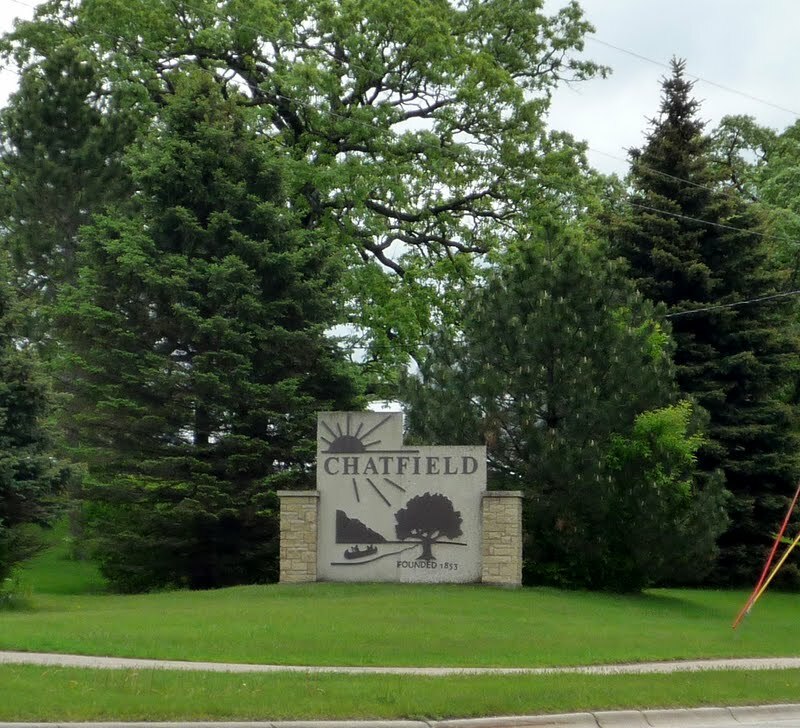 Chatfield is a city in Fillmore and Olmsted counties in the U.S. state of Minnesota. The population was 2,779 at the 2010 census. The city's area is split almost equally between the two counties. Chatfield is known as "The Gateway to Bluff Country" and "The Chosen Valley". It was reported by Orange County Register on December 6th, 2018 that Robert Edward Follensbee perished in Westminster, California. Follensbee was 86 years old and was born in Chatfield, MN. Send flowers to express your sorrow and honor Robert Edward's life. It was noted by San Diego Union-Tribune on November 4th, 2018 that Betty Ann Tetzke (McRae) passed on in Livermore, California. Ms. Tetzke was 87 years old and was born in Chatfield, MN. Send flowers to express your sympathy and honor Betty Ann's life. It was noted by Eau Claire Leader-Telegram on October 23rd, 2018 that Arlys Ann Petersen (Busitzky) died in Chippewa Falls, Wisconsin. Ms. Petersen was 75 years old and was born in Chatfield, MN. Send flowers to express your sympathy and honor Arlys Ann's life. It was revealed on March 4th, 2018 that William B "Bill" Shimer died in Tampa, Florida. Shimer was 92 years old and was born in Chatfield, MN. Send flowers to express your sympathy and honor William B "Bill"'s life. It was disclosed by Register Guard on July 28th, 2015 that Elmer Louis Krumdieck died in Pleasant Hill, Oregon. Krumdieck was 91 years old and was born in Chatfield, MN. Send flowers to express your sympathy and honor Elmer Louis's life. It was disclosed by Eau Claire Leader-Telegram on January 28th, 2014 that Raymond K Hatleli passed away in Chippewa Falls, Wisconsin. Hatleli was 83 years old and was born in Chatfield, MN. Send flowers to express your sympathy and honor Raymond K's life. It was reported by San Diego Union-Tribune on April 4th, 2013 that Maureen Catherine Schickler (Manahan) passed on in San Diego, California. Ms. Schickler was 80 years old and was born in Chatfield, MN. Send flowers to share your condolences and honor Maureen Catherine's life. It was written by The Herald on February 17th, 2013 that Betty Jane "Maxine" Wilson (Squires) perished in Washington. Ms. Wilson was 82 years old and was born in Chatfield, MN. Send flowers to express your sympathy and honor Betty Jane "Maxine"'s life. It was written by Register Guard on October 21st, 2012 that LaVonne Marcelle Calllies (Hatleli) perished in Eugene, Oregon. Ms. Calllies was 84 years old and was born in Chatfield, MN. Send flowers to express your sympathy and honor LaVonne Marcelle's life. It was reported by Minneapolis Star Tribune on June 10th, 2012 that Neil Sherman Haugerud passed away in Chatfield, Minnesota. Haugerud was 81 years old. Send flowers to express your sorrow and honor Neil Sherman's life. It includes stones from the early schoolhouse, stones from six continents, including exotic places like Antarctica, England, Hong Kong, Tasmania and most of the fifty states. They could often be seen drilling in the City Park. General Judson Wade Bishop was a Chatfield resident who served prominently in the war. The population was 2,394 at the 2000 census. It was the original Fillmore County seat. funeral directors for Chatfield, MN. Find phone numbers, addresses, maps, driving directions and reviews for funeral directors in Chatfield, MN. Listing all funeral homes in Chatfield, Minnesota so you can easily send flowers to any location (same day delivery) or find any funeral service. Find a Funeral Home inChatfield, Minnesota MN to provide the caring burial and ceremonial services your family deserves. Riley, James - Riley Funeral Home, Chatfield, MN : Reviews and maps - Yahoo! Local, 507.867.4310. Get Ratings, Reviews, Photos and more on Yahoo! Local. The finest roses, gifts and Mother's Day flowers delivered fresh. Serving Chatfield, Minnesota, surrounding suburbs and the entire country. We work with local florists and flower shops to offer same day delivery. You will find budget sympathy flowers in Chatfield here. Our funeral flowers are cheap in price but not in value.